Transporting small kids round the big city is a faff. Public transport or the car is the usual option, neither of which are much cop. But mine are old enough now to go on the back of a bike, so drop-offs (via my mighty Burgman 650) at parties, scouts, school and the like is now much easier. I’ve had to sort out some kit for them though – easier said than done. Enter Buffalo, the entry-level brand from UK firm The Key Collection. Buffalo does a full head-to-toe kit-out in kids’ sizes, and this Ranger jacket is part of the range. 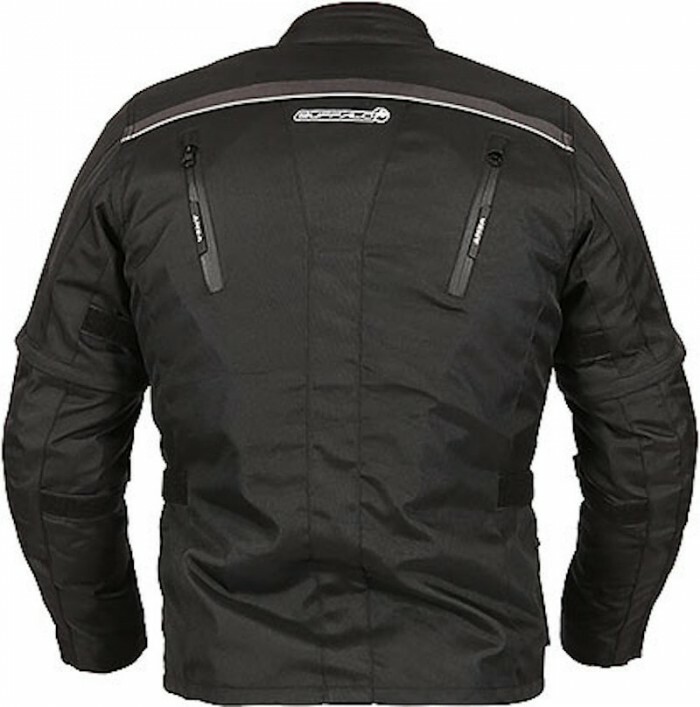 It’s a pretty conventional budget textile jacket, with tough polyester shell, waterproof lining, and a removable quilted thermal liner. 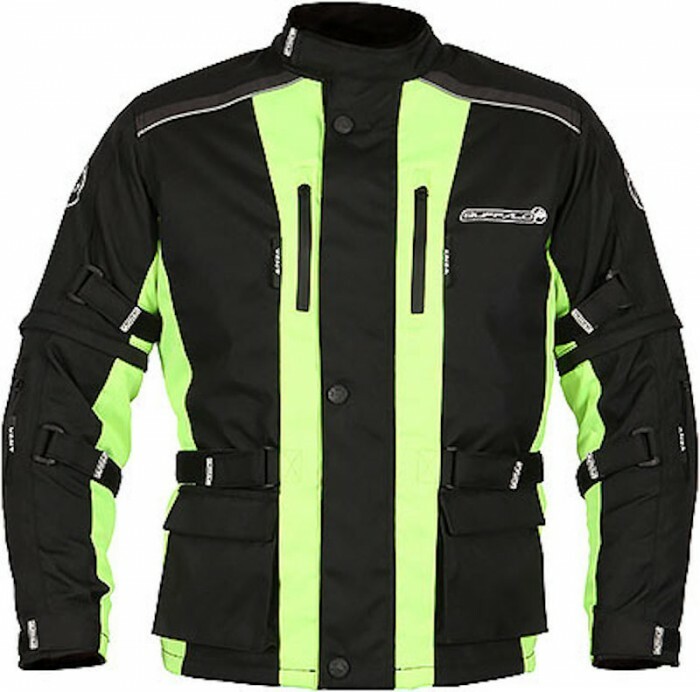 There’s plenty of pockets and adjusting straps, and it’s even got a set of cooling air vents for summer use. Protection-wise, there’s CE armour in the elbows and shoulders, and a pocket for a back protector (with some foam padding in there).